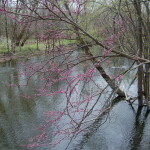 Spring has finally arrived here in Michigan, and each week brings more daylight and warmer temperatures. After months of being limited by snow, ice and the winter blahs the time has come to get out and start rediscovering all the great things that the Mitten State has to offer. We put together this A to Z guide of things to do and places to check out this spring, so consider the following 26 suggestions a starting point for fun in March, April and May. 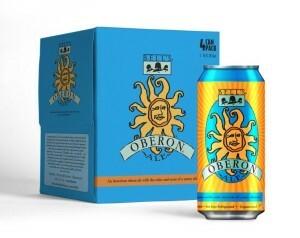 Ann Arbor – spring is a great time to check all that Ann Arbor has to offer. Home to the University of Michigan, Ann Arbor also boasts the Michigan Theater, Ann Arbor Hands-On Museum, Matthaei Botanical Gardens/Nichols Arboretum, as well as many highly-regarded restaurants. Shopping opportunities are plentiful, and downtown is a beautiful place for a stroll on a warm day. 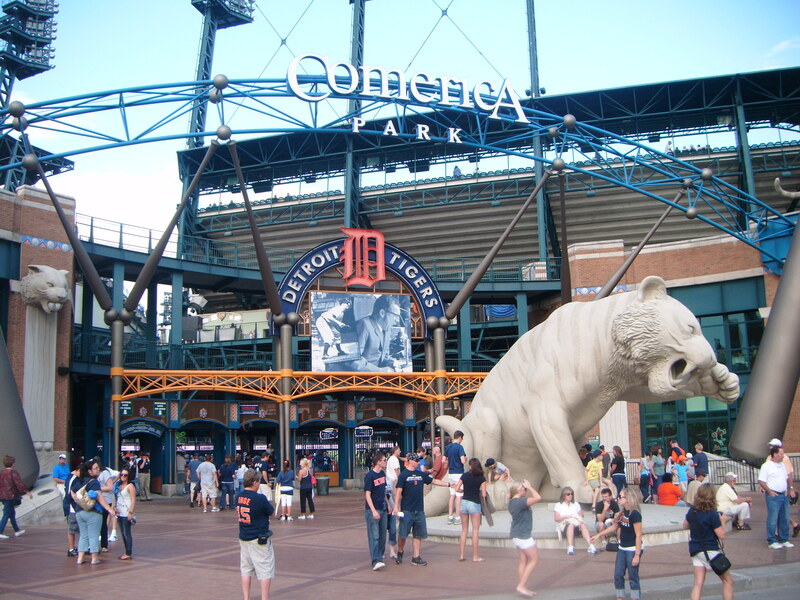 Baseball is back – the Detroit Tigers will be back in action on Monday, April 6 as they host the Minnesota Twins. Michigan native and recent Oscar winner J.K. Simmons will be throwing out the ceremonial first pitch. 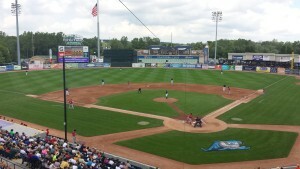 We put together a guide showing off all of Michigan’s baseball teams and where and when to catch them in action. 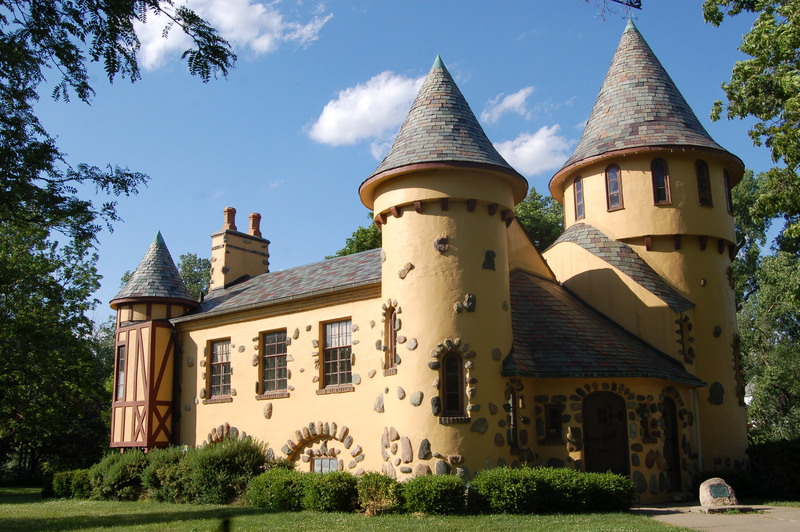 Curwood Castle, Owossso – on the banks of the Shiawassee River in downtown Owosso sits one of Michigan’s more interesting architectural attractions – a castle that was the writing studio of James Oliver Curwood. Now a museum that is open to the public on select days, Curwood Castle sits in a park that also houses the first cabin in the area and a scenic bridge over the river. 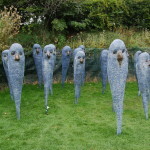 Check out our roadside attraction post for more details. 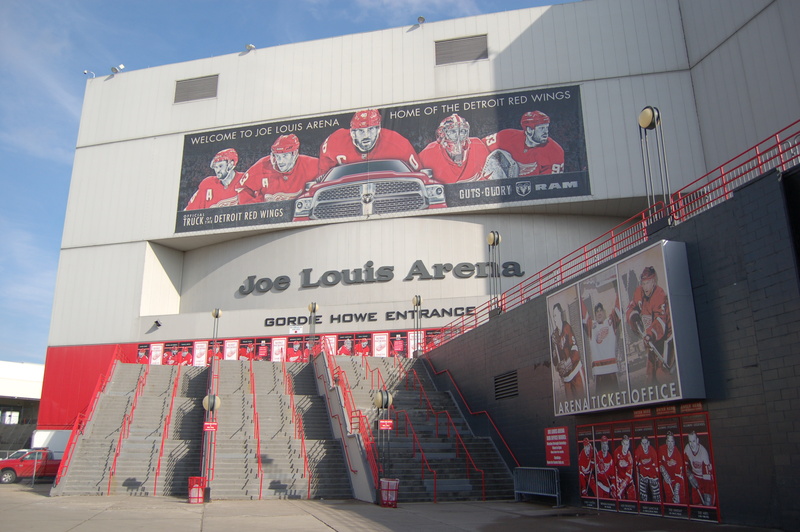 Detroit – art, history, sports and food are just a few of the reasons to visit Detroit, a city that is well on its way to economic recovery. 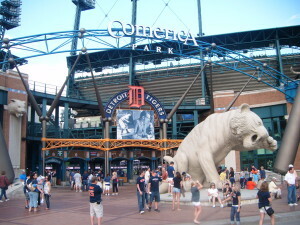 Top spring attractions include Detroit Tigers baseball at Comerica Park, Detroit Red Wings playoff hockey at Joe Louis Arena, concerts at the Fox Theatre or The Fillmore, gambling at Motor City Casino or Greektown, visiting the Detroit Zoo or Motown Historical Museum, or taking in the sights and sounds of the Detroit Riverwalk. Easter Egg Hunts – local communities will be hosting community Easter egg hunts for kids, with most taking place on March 28th or April 4th. Easter falls on April 5th this year, so be sure to check out your local area’s paper, message board or web page for more details and information. Flick’s Family Film Fest, Celebration Cinemas – Flick’s Family Film Festival continues through April 23rd with four more family-friendly titles! For each film, all regularly scheduled showtimes are free for kids 12-and-under and just $5 for adults. Upcoming features include Alexander and the Terrible, Horrible, No Good, Very Bad Day, Big Hero 6, Night at the Museum: Secret of the Tomb and Penguins. Portage, Benton Harbor, Muskegon, Grand Rapids, Lansing and Mt. Pleasant all have locations that are part of Celebration Cinemas. Grand Rapids – a visit to Beer City USA rarely disappoints, and there is a lot more to do than enjoying a brew at one of the city’s many breweries. Grand Rapids Griffins playoff hockey and concerts at the Van Andel Arena, the Butterflies exhibit at Frederik Meijer Gardens, Gerald R. Ford Presidential Museum and Grand Rapids Public Museum are all great ideas. 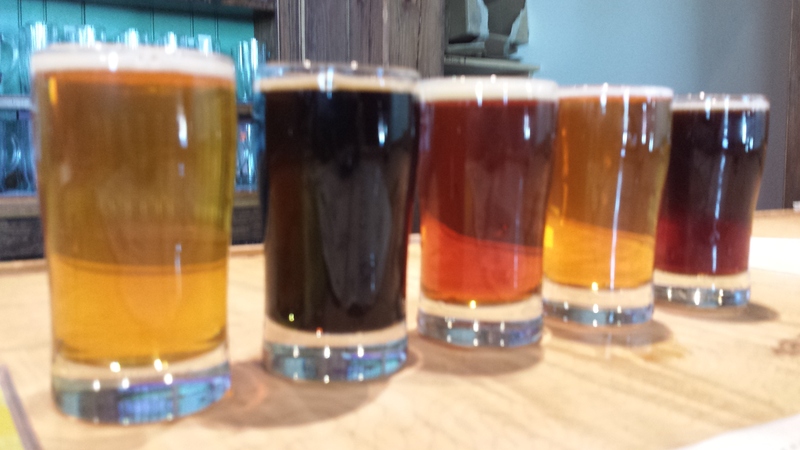 Those looking for some of the country’s best beer will enjoy time spent at Founders, Grand Rapids Brewing Company, Brewery Vivant, The Mitten Brewing Co and many others – check out our Michigan Beer page for more information. 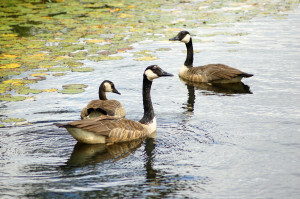 A spring walk along the Grand River while sampling some of the food offered at local restaurants can also make for a great afternoon or evening once the weather warms up. Henry Ford Museum, Dearborn – thousands flock to the Henry Ford Museum and Greenfield Village each year, as some of Michigan’s biggest historical moments are remembered alongside those of the entire nation. 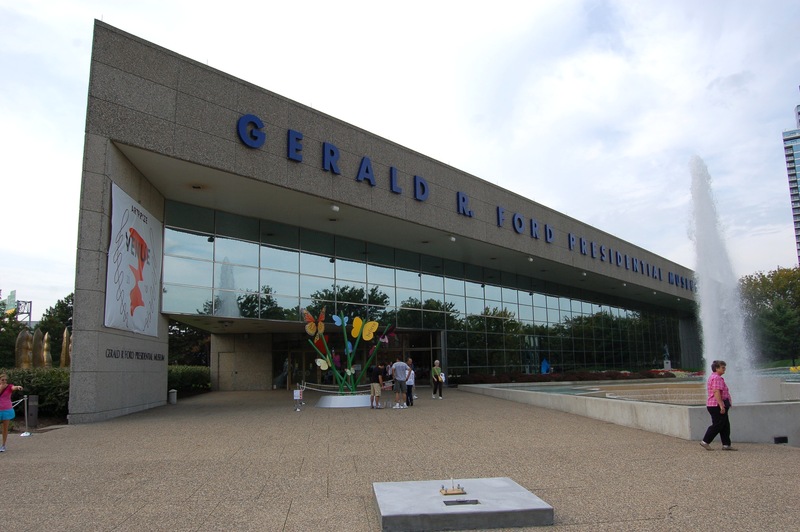 Visitors have the chance to see John F. Kennedy’s presidential limousine, President Abraham Lincoln’s chair from Ford’s Theatre, the laboratory of Thomas Edison, the Rosa Parks bus, and countless mementos from the auto industry. 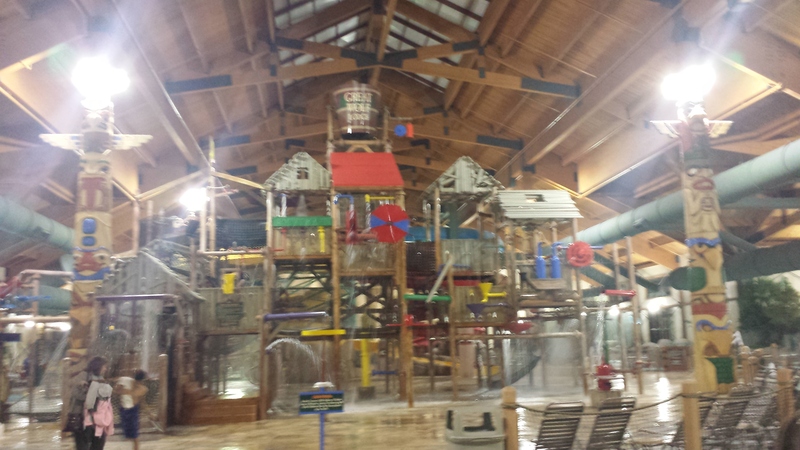 Indoor Waterparks – since it may still not be warm enough to head to the beach for a swim, Michigan offers a handful of great indoor waterparks. 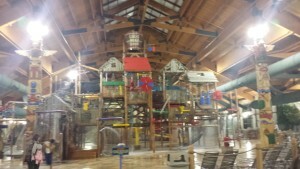 Great Wolf Lodge (Traverse City), Soaring Eagle Waterpark (Mt. Pleasant), Zehnder’s (Frankenmuth), Avalanche Bay (Boyne Falls) and Surfari Joe’s (Watervliet) are some of the great options for families this spring, and most of these locations are offering great discounts. 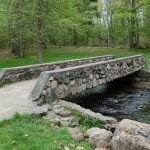 Jackson – historic sites, scenic parks, golf courses and wineries are a few of the things that bring visitors to Jackson. Great food, breweries and shopping opportunities help keep them there. The Cascades (or Cascade Falls) are a fun experience for the whole family, and the Under the Oaks Historic District features sites that were part of the 1854 meeting that led to the founding of the Republican party. Kite Festival, Grand Haven – the largest kite festival in the Midwest will take place May 16 and 17 at Grand Haven State Park on the sandy shores of Lake Michigan. Giant kites, seminars, expert demonstrations and hands-on events for kids are just a few of the things visitors can expect to find. 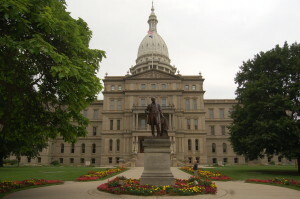 Lansing – Michigan’s capital offers many museums that are great experiences for the whole family, Potter Park Zoo, the campus of Michigan State University, as well as the Capitol building itself. Great food at highly rated restaurants, frequent concert and film events, plentiful historic sites and Lansing Lugnuts baseball help keep the downtown area buzzing for the entire spring season. Museums – spring is a great time to check out some of the best museums in Michigan. Temporary exhibits will be featured at Grand Rapids Public Museum, Michigan Historical Museum (Lansing), Henry Ford Museum (Dearborn) and others. Michigan offers museums for the iron industry, auto industry, Motown music, farming, aviation, art, and presidential history. 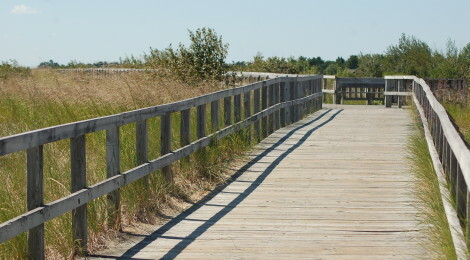 Nature Parks – Michigan’s unique landscape features make it a prime location for many various kinds of wildlife, and spring is one of the best times to see animal in action at one of our numerous nature parks. Birds are especially active this time of year, so head out to places like Seney National Wildlife Refuge (Germfask in the Upper Peninsula), Deerfield Nature Park (Mt. Pleasant), Blandford Nature Center (Grand Rapids), Pine River Nature Center (St. Clair County) or one of the many Ottawa County parks near Lake Michigan. Oberon is back – we’ve already previewed some of the events planned for the first week of Oberon’s release in 2015, but there really isn’t a bad time to grab Bell’s Brewery’s popular wheat beer once the weather warms up. Look for it on tap at restaurants and bars statewide, or stop in to Bell’s Eccentric Cafe in Kalamazoo for the full experience. Party for the Planet, Potter Park Zoo – on April 26th, Potter Park Zoo in Lansing is one of many locations worldwide that will celebrate Earth Day with special events. See their new resident, a North American moose, and get up close and personal with animals and hands-on activities for the kids on Earth Day. 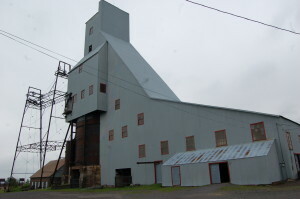 Quincy Mine – one of the best-preserved mining sites in the Upper Peninsula can be found just north of Hancock, where the Quincy Mine Hoist towers over the trees. Tours begin on weekends in May with limited hours, with the opportunity to check out the surface ruins and few remaining buildings and/or take a tram ride down into the mine itself. Beat the heat and the crowds by checking out this amazing historic attraction in the spring! 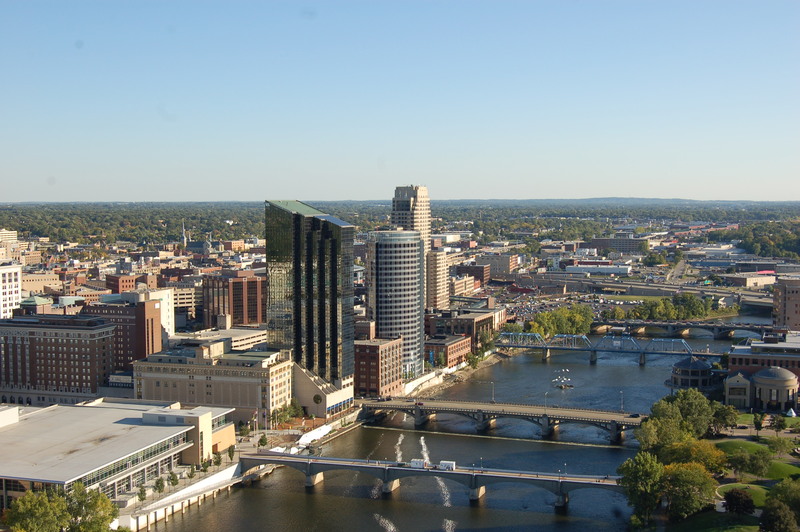 Rockford – in northern Kent County, Rockford is becoming a destination for those looking for outdoor recreation, restaurants and breweries, or excellent shopping with a small-town feel. Check out Rockford Brewing Company, enjoy the Rockford Dam overlook, kayak the Rogue River, hike the Rogue River Nature Trail, hike/bike the White Pine Trail or grab a bite at Arnie’s or the Corner Bar while in town. Soo Locks are open – the Soo Locks in Sault Ste. Marie officially opened on Wednesday, March 25th. The Edwin H. Gott was the first ship through, signaling the kickoff of the 2015 Great Lakes shipping season. 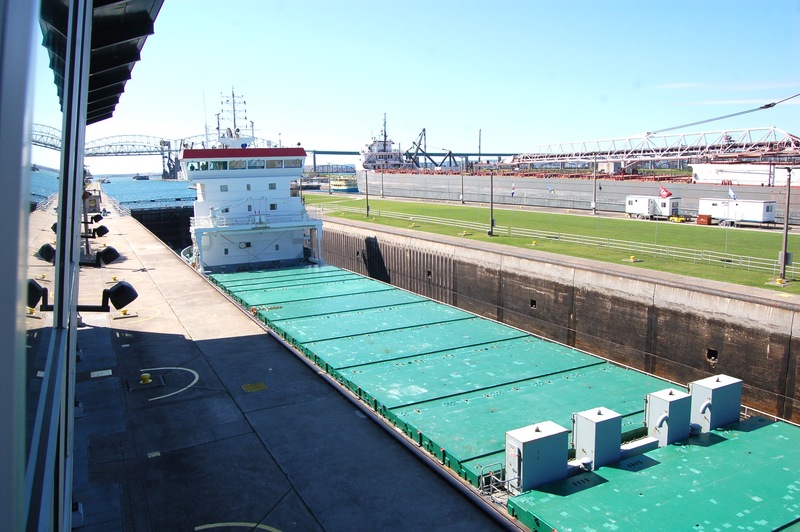 The Soo Locks are a favorite attraction for the whole family and offer a fully accessible viewing platform as well as several historical displays. Shopping and dining options are located right across the street, and spring is a great time to visit if you hope to avoid the crowds that will come later in the year. Tulip Time, Holland – Dutch pride will be on full display in Holland (in Ottawa County) from May 2-9 this year, as Tulip Time takes over. See millions of colorful flowers add vibrance to downtown, enjoy parades and concerts, learn about how wooden shoes are made or visit the historic and recently restored De Zwaan windmill. Visit www.tuliptime.com for more information. 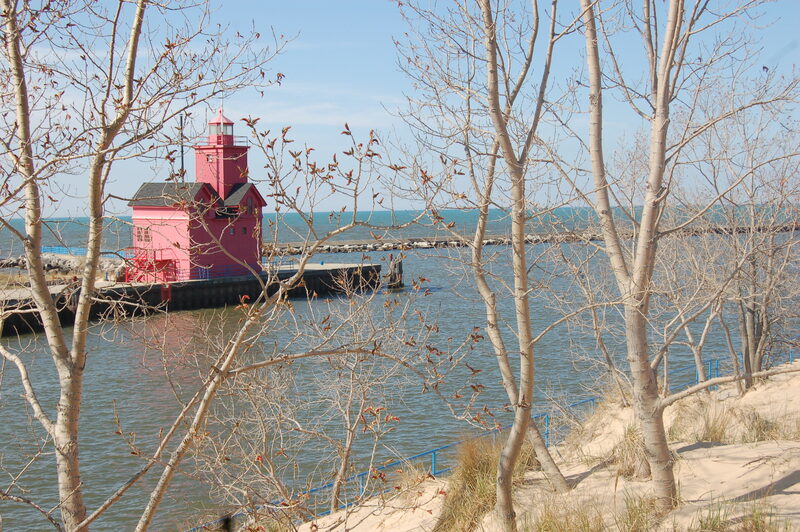 Holland State Park and the historic “Big Red” lighthouse are just a few miles from downtown if a break from all the Tulip Time excitement is needed. 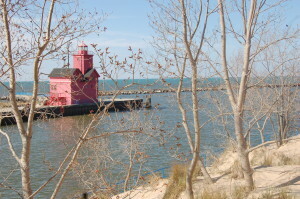 US-2 Scenic Drive – spring is a great time to take in the beautiful Lake Michigan shoreline stretching from St. Ignace to Escanaba in the Upper Peninsula. 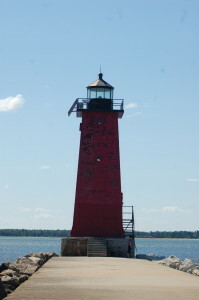 Sandy beaches, historic villages and towns, lighthouses and more dot the landscape as you pass through Epoufette, Naubinway and Manistique and other towns. 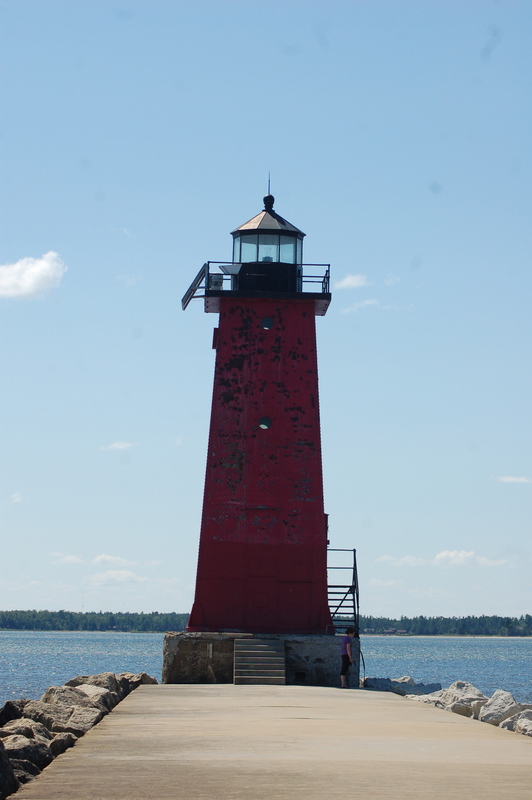 Fayette Historic State Park is a popular side trip, and downtown Escanaba offers a wide variety of shopping and dining options. Vermontville Maple Syrup Festival – the 75th annual Vermontville Maple Syrup Festival takes place April 24-26 this year, and will feature something for everyone – Mid-America rides, talent show, arts and crafts, flea market, two parades, petting zoo, princess pageant, various displays, games, free entertainment, a pancake derby, and arm wrestling. Syrup, candies, candles and other maple-themed products will be on display and for sale throughout downtown as well. Waterfalls – spring is one of the absolute best times to check out the waterfalls of the Upper Peninsula. Snow melt brings water levels to their high points for the year, which means some falls that are normally a trickle could be gushing in April and May. In similar fashion, waterfalls that are already stunning become even more breathtaking with the increased amount of water flowing. 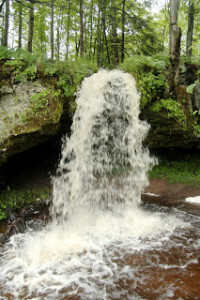 For a quick start check out our Alger County waterfall guide or our list of 10 Hidden Gem Waterfalls. (Art) X, Detroit – described as “a 10-day festival of dance, literary, musical & theatrical performances, film screenings, visual arts installations, workshops, panel discussions & interactive experiences,” Art X Detroit takes place on three April weekends in Midtown Detroit and is free to the public. Ypsilanti – Depot Town, the Michigan Firehouse Museum, Frog Island Park and the Ypsilanti Automotive Heritage Museum are a few of the attractions that draw visitors to this city that continues to gain a reputation as a cultural center for creative people. Great food, shopping and local beer and wine are also easy to find here. Zoo Brew, Detroit Zoo – on May 7th, the Detroit Zoo will host an event that features some of Michigan’s finest craft brews at a zoo that features one of the most impressive collections of animals in the state. VIP tickets have already sold out, so act fast to get in on this unique opportunity. A similar event will also take place in the fall. How would our August event get included in a summertime event post? Please contact me through this email.